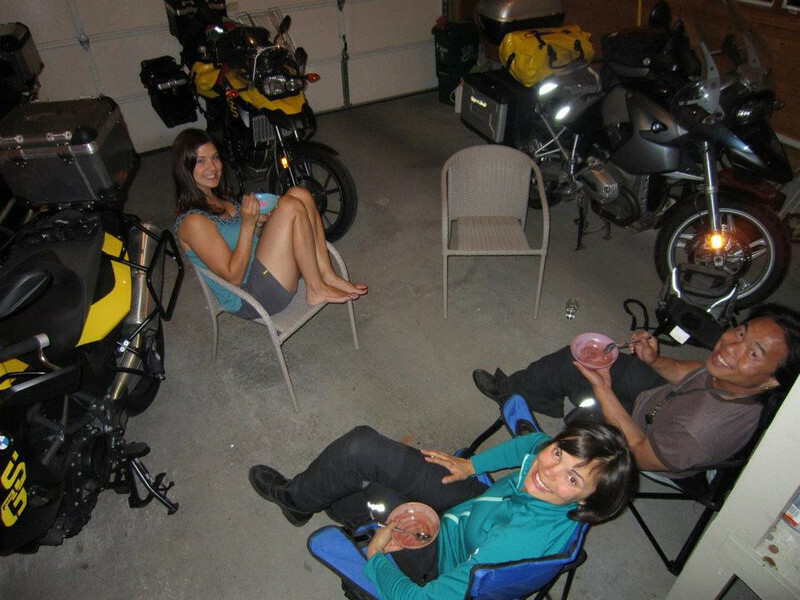 Neda and I got our motorcycle licenses together in spring of 2004, as an engagement present to ourselves. We thought it would be a neat thing to do. We took day trips, hung out at motorcycle meets, rode on group rides, did track days, took longer motorcycle trips, rode dirt bikes, became motorcycle instructors, took even longer trips, and then dealt with the aftermath, the ensuing ennui of "real life" - the anchor of a home, the jobs and the bills; the maintenance of everything we've accumulated in our collective seven decades on earth. So the solution seemed logical to us: quit the jobs, sell our home and everything in it, and set out on THE motorcycle journey with no route planned, no end in sight and no return date in mind. It all starts with a bike... Actually, this was one of the last things we did to prepare for our trip! This is what's left of our earthly possessions after a few rounds of Keep, Sell, Throw Away, Give Away. Now to get it all on our bikes...! The preparations were long and tedious, possibly the content of another blog entry, and we did manage to finally leave Toronto two days later than we had planned - See! We're already sticking to our "No Plan" resolution. 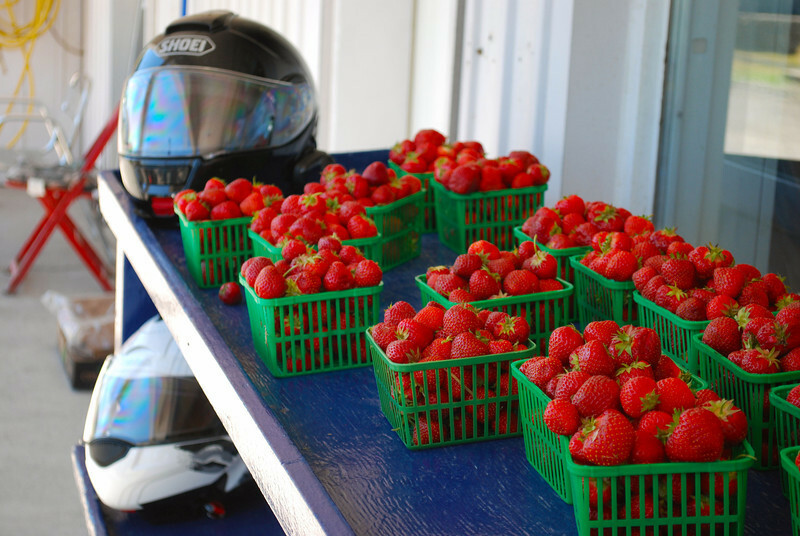 Our early Sunday morning ride out of Ontario was a breath of fresh air, after the stifling, hectic bustle of the previous few weeks. No responsibility but to ride and ride and ride. A few things still lingered on my mind, one motorcycle, one SUV still left to sell, and the turnover of keys for the condo when we returned in 2 1/2 weeks. And the weather was beautiful! 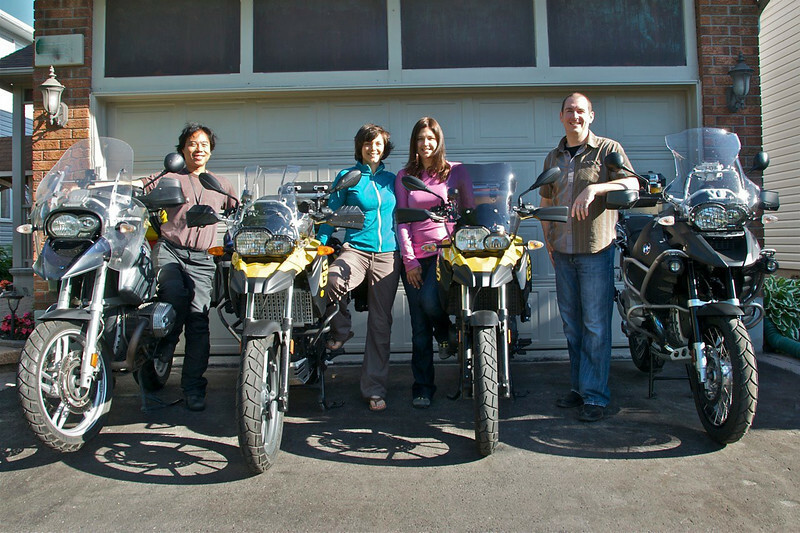 So unlike all of our other motorcycle trips. 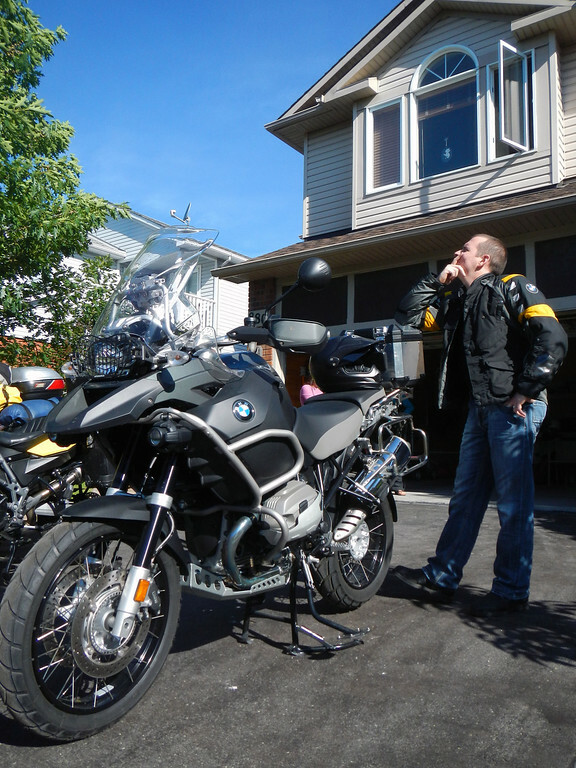 'm taking my trusty R1200GS. It does handle like a pig now with all the weight in the back, the front end feels so light and I have to push the bars a lot harder so I don't run wide in turns. Ack! 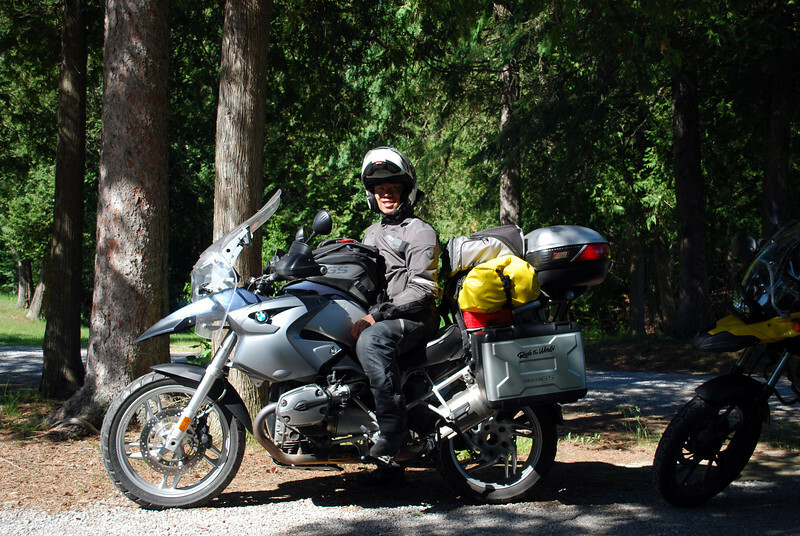 We rode all our favorite back roads out of Ontario and knocked on the door of our very good friends in Ottawa, Kevin and Manon, who generously fed us with ice cream in the garage and let us set up our tent in their back yard. Just in case you are thinking they aren't very good friends at all, I am deathly allergic to their two cats who glared at me with knowing malintent through the screen door of the back porch. 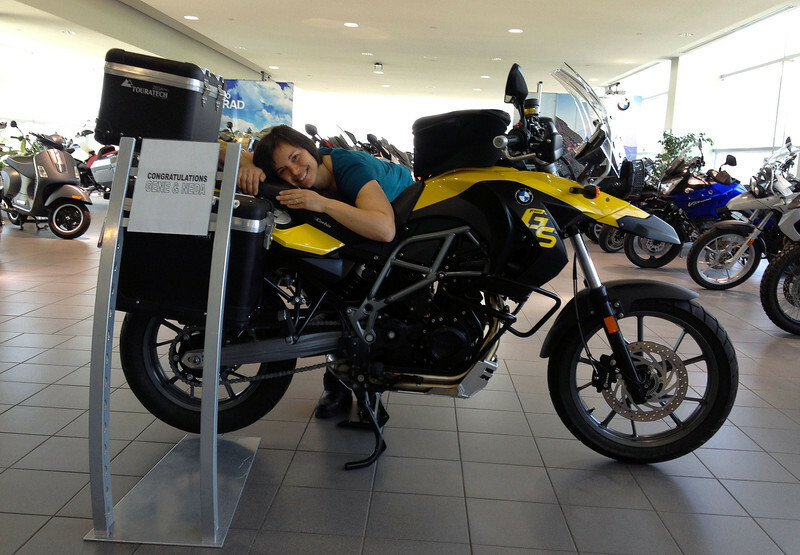 Coming off the R1200ST's shaft drive, Neda has to get used to lubing her chain drive every evening now. Haha! 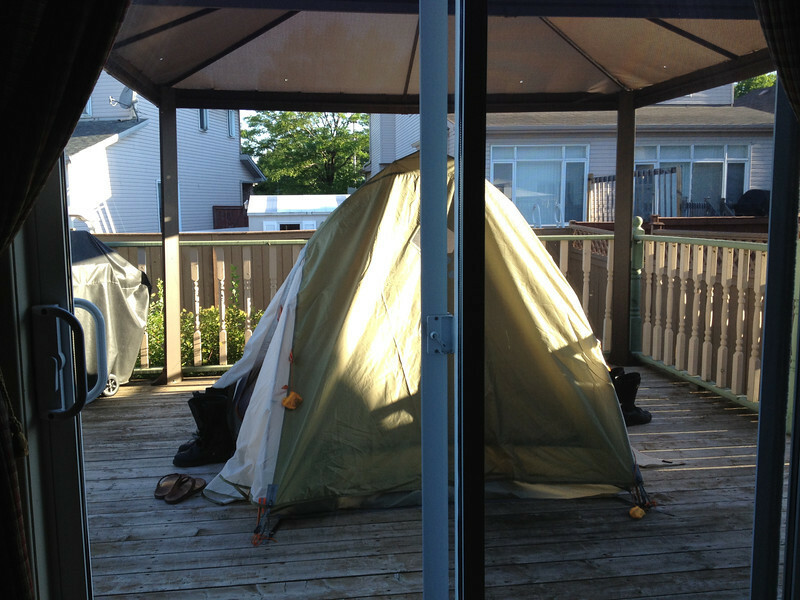 Easing me into camping, backyard-style. Just like a kid. I'm not a camping-kinda guy. My idea of roughing it means no fluffy white robe hanging on the back of the bathroom door and no mints on the pillow. Neda, on the other hand, is NatureGirl, so she was really looking forward to getting a lot of outdoor-time. 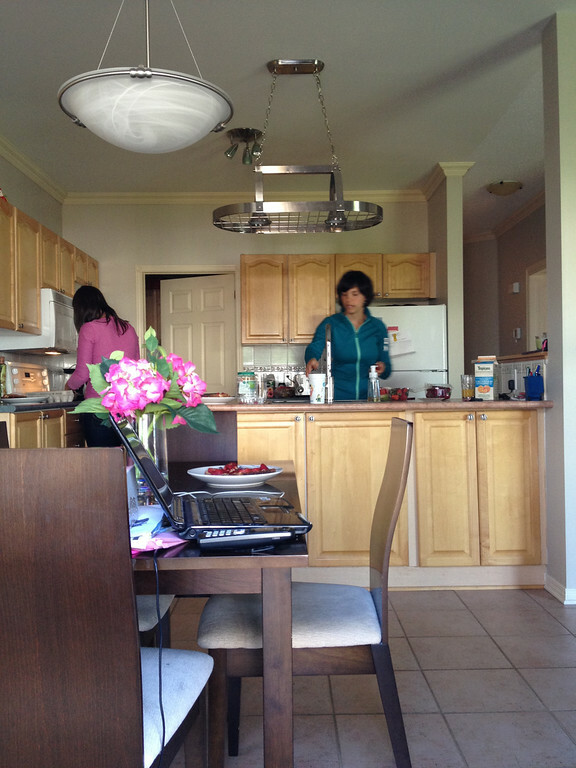 Neda and Manon prepare breakfast, while I watch from the back porch. Leaving Kevin and Manon's place, I accidentally left my GPS case lying on the top of one of my saddlebags. The rear is so crowded with all the dry bags, extra fuel tank, toolkit and backpack that it's easy to misplace something back there. By the time I had realized it was missing, it had already been sacrificed to the highway gods. Kevin: "The only thing this driveway needs is more GSes...!" TheRuleOfThump, malmon, 95Monster and 8 others like this. Gonna try to update this thread regularly from our blog. Looks like a great time! I'm looking forward to reading as you go along. This sounds like it will be a great ride, I'm in. You can never have too many GSes...! Ride Safely guys...I look forward to your journey. Don't know where I am, but not lost. Have fun and be save. Outstanding! Can't wait to follow along! My wife and I have talked about this ourselves so really looking forward to watching your travels! Subscribed. Good luck on your trip! Oooh!! I'm totally IN! 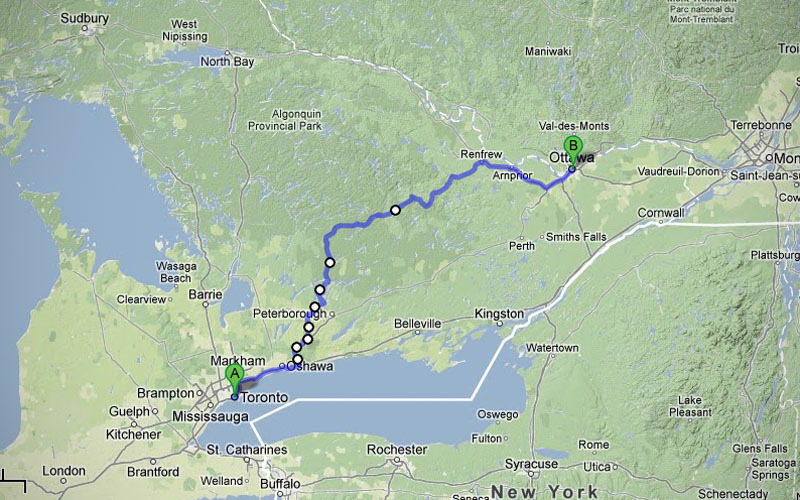 I hope to do this very soon myself so a list of places to go and more tips for the road would be greatly appreciated. Come on, Jana, let's dance the kolo. Come on, Jana, let's sell the horses. We'll sell them just so we can dance. Come on Jana, let's sell the house. We'll sell it just so we can dance. Wishing you the best! Looking forward to your adventures. WOW ! What a concept. Wish I had done this 30 years ago. It's what we all dream of. Good luck on your travels. I m in , following from Chile. Im in as well! Good luck out there!! !